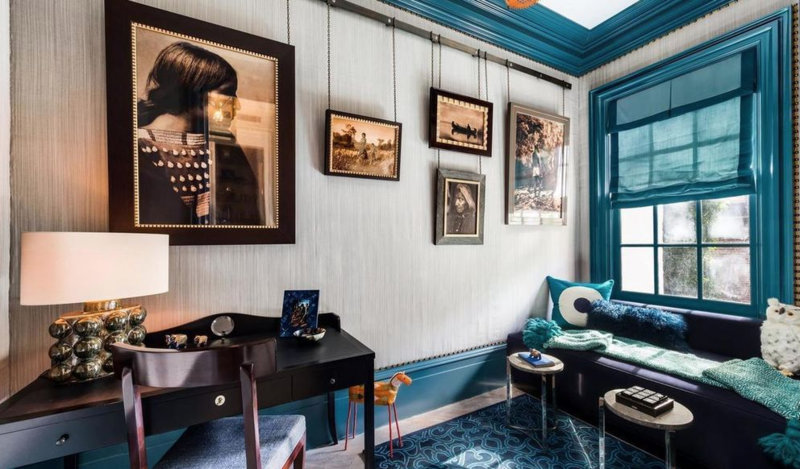 Cobalt, teal, navy, sapphire—this place has the blues. 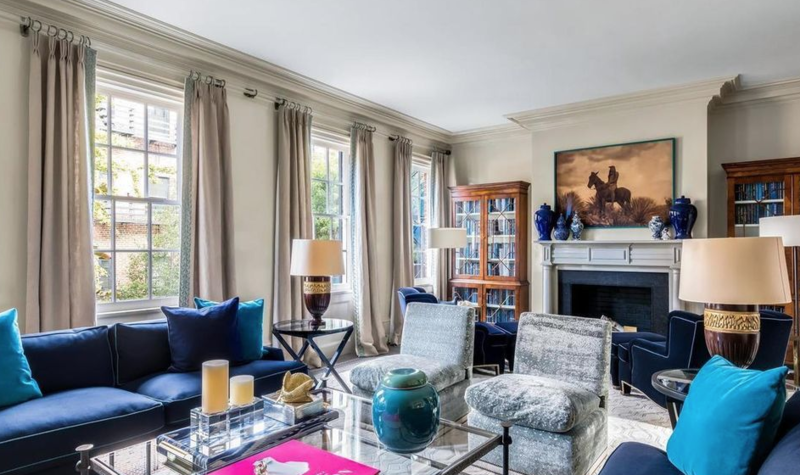 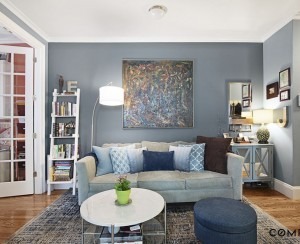 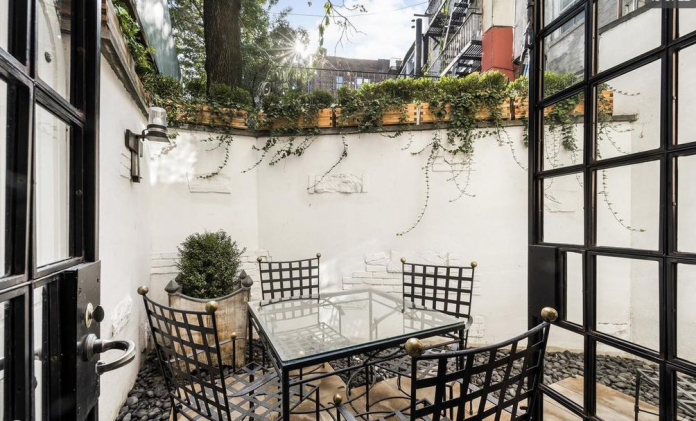 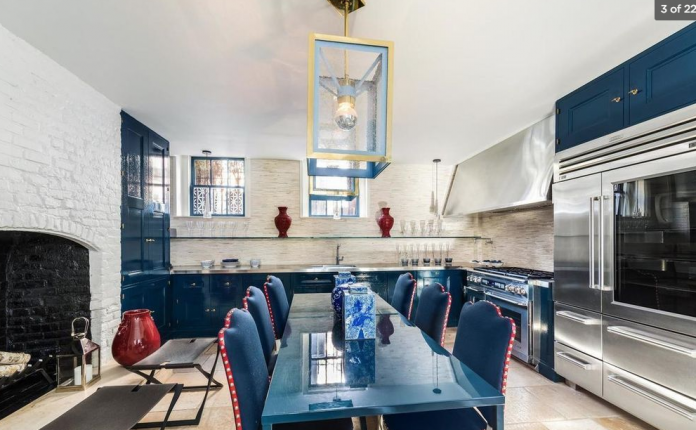 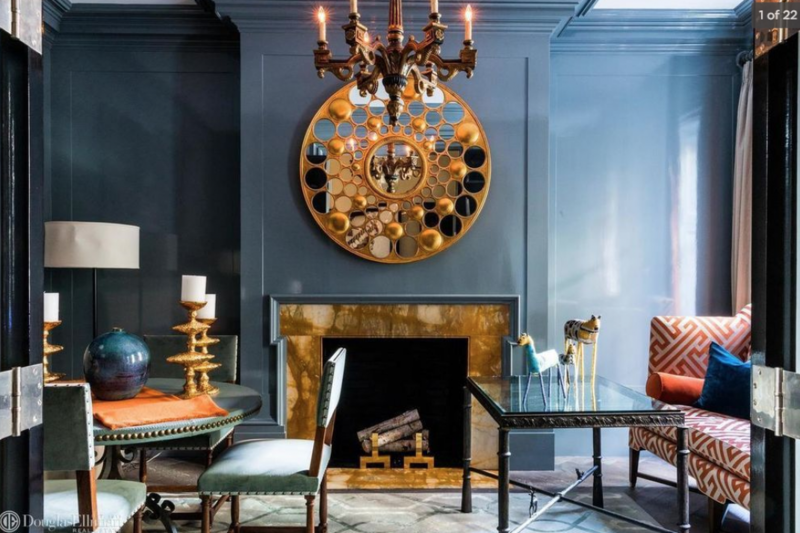 Previously owned by interior designer Steven Gambrel and re-imagined by Environmental Design Group of Chicago, this West Village townhouse at 250 West 10th St. seems to feature virtually every shade of blue. In someone else's hands, such a color scheme could be a mess, but here, mixed with bold design choices like black lacquered doors and unconventional tile work, the house holds together elegantly. 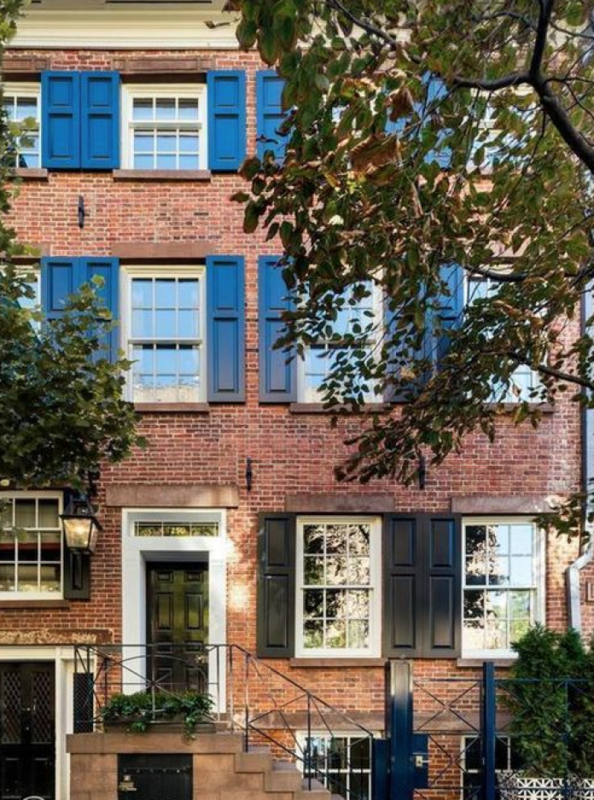 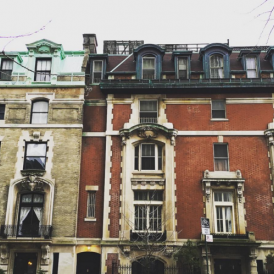 Listed for $11,250,000, the 1826 townhouse measures 3,000 square feet and has three bedrooms, three bathrooms, and two powder rooms. 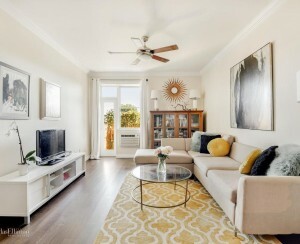 There is also a double living room with large windows, 12-foot ceilings, and two original marble fireplaces; an outdoor patio; and an eat-in kitchen with custom lacquer cabinetry and stainless steel counters. 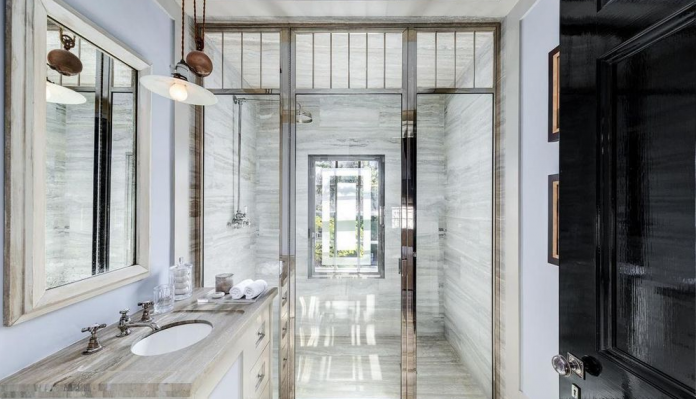 The fourth-floor master bedroom has a wood-burning fireplace and a custom-marble bath. 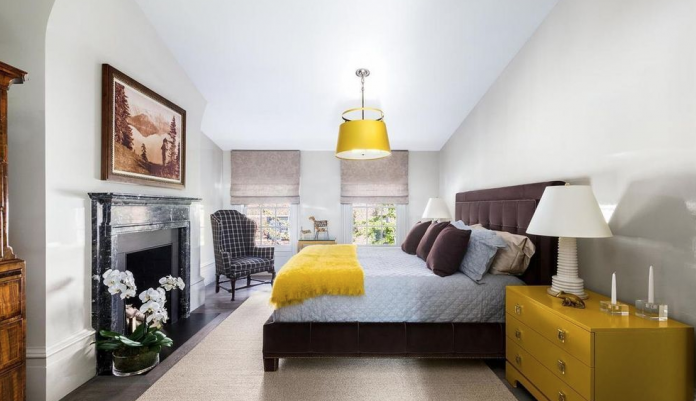 The second bedroom also has a fireplace as well bathroom with a skylight. Additionally, that bedroom has a closet and a dressing room. 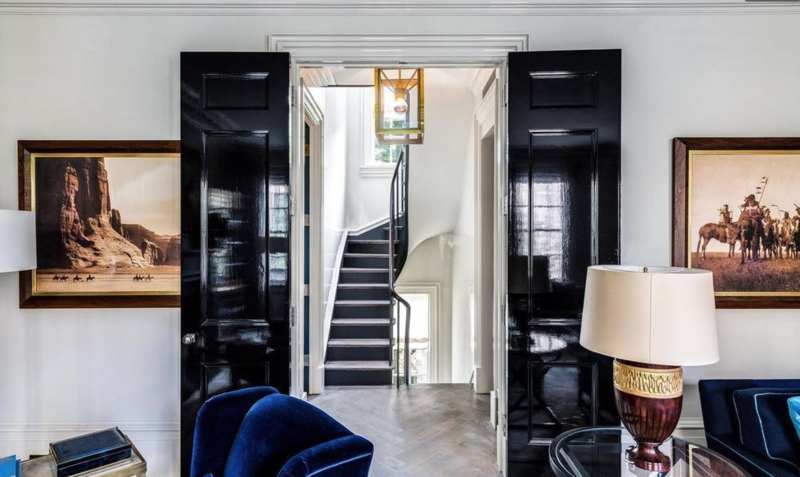 Other fine details include Nanz custom hardware, French milled floors, and light fixtures that line up with the 19th-century look of the place. 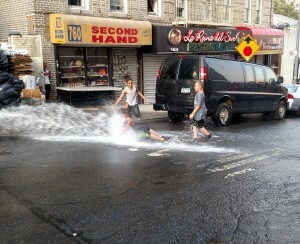 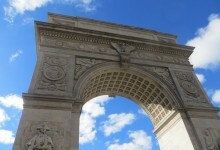 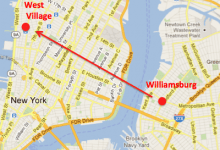 The house's address puts it near the many restaurants and shops of the West Village.